Developing a new product can be an expensive and challenging endeavor. It’s not enough to have a great idea. 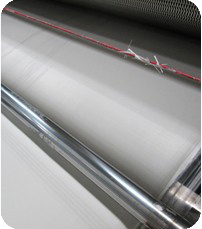 The entire manufacturing process must be carefully engineered to ensure maximum profitability. Any one part could cause unnecessary delays or cost overruns. That’s precisely where Molding Products can help. 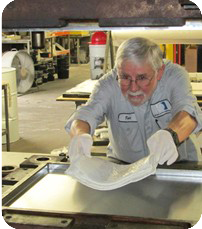 When a component is ideal for fiberglass-reinforced plastic construction, calling Molding Products at the earliest possible stages of concept development gives you full access to the many years of experience and extensive knowledge of our staff. We work closely with you to identify potential issues, analyze specifications and utilization requirements, and begin developing specific formulas to exceed the finished part requirements. All necessary characteristics like flame retardancy or pigmentability are carefully reviewed and discussed. Throughout this critical phase, our experts will be in close and frequent communication with your engineers to make sure all facets of the project are explored thoroughly. Once this process is complete, we proceed to prototype tooling. Because of other customers’ scheduling demands, it is frequently difficult for a custom molder to provide you with an adequate amount of press time. In addition, prototype-matched metal molding programs will often lose continuity and perspective if not performed in the proper sequence. 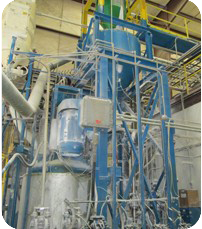 Since Molding Products is not a custom molder, the tooling can remain in our compression press while related formula development and testing are being carried out in one location. When needed, we also have strategic alliances with quality prototype tooling sources. By working with Molding Products, you save time, effort and added expense because molding and compounding can typically be done at the same facility. 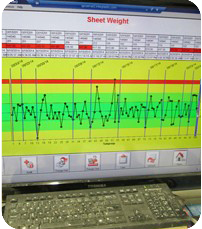 If quick modification of a potential formula should become necessary, it can be executed with minimal time loss. Since Molding Products is not in the custom-molding business, we are not competing with you. All projects are considered totally confidential and information recorded during the program is the explicit property of our customers. As a sister company of Interplastic Corporation, we have knowledge of and access to all the most current resin technologies. However, we are not restricted to the resins distributed by our subsidiary companies. Our only commitment is to our customer. We are dedicated to providing whatever our customer needs to meet or exceed specific parts requirements. Molding Products is committed to continuously improve our product and processes to meet our customer’s expectations for quality, cost and delivery. Every sheet of molding compound must pass our stringent quality control tests. Molding Products best-in-class quality is maintained through a comprehensive quality process, which includes adherence to best practices in procuring composite products and the use of a programmable logic control system to monitor processes. We are ISO 9001/2000 compliant and undergo significant regulatory requirements. Our manufacturing facility is centrally located in South Bend, Indiana, to minimize your freight costs.